These pages contain medical information on the ears, nose, throat, conditions of the head and neck, and on facial plastic and cosmetic surgery. Need an Ear, Nose & Throat Specialist? 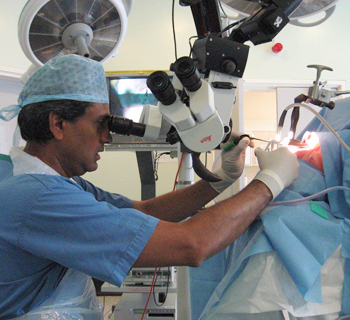 An ENT specialist with expertise in all aspects of adult and paediatric Otolaryngology and a particular interest in cancer surgery, thyroid and salivary gland surgery, and endoscopic sinus surgery.